SKU: T2563-00-W Category: Weather Seal Brands: Repair Parts. 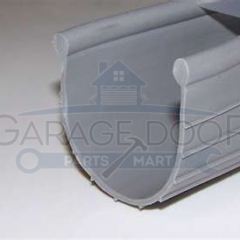 At Garage Door Parts Mart, we know how conscious you are about keeping your home in great condition and your costs at a minimum. 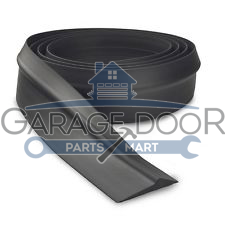 This is why we offer garage door bottom T rubber seals in sizes three inches, four inches and six inches. Part of a home’s value is in the condition of the garage. A garage can be a great booster to the utility and attractiveness of your home. It can keep your car in tip-top shape, be a storage area or just a place to hang around with friends. If the garage is compromised, it can be a drain on your finances. Designed function in extreme weather conditions from minus-50 degrees Fahrenheit to 350 degrees Fahrenheit. The one-quarter inch “T” is designed to fit the T-style bottom retainer. Made of a sturdy black EPDM synthetic rubber.